I am not even going to address the absurdity of yesterday's news. Freakin' stupid. As has been the case for a while now, I'm still chasing any an all Astros Silk Cards from Topps flagship product. Recently, I picked up a couple more! 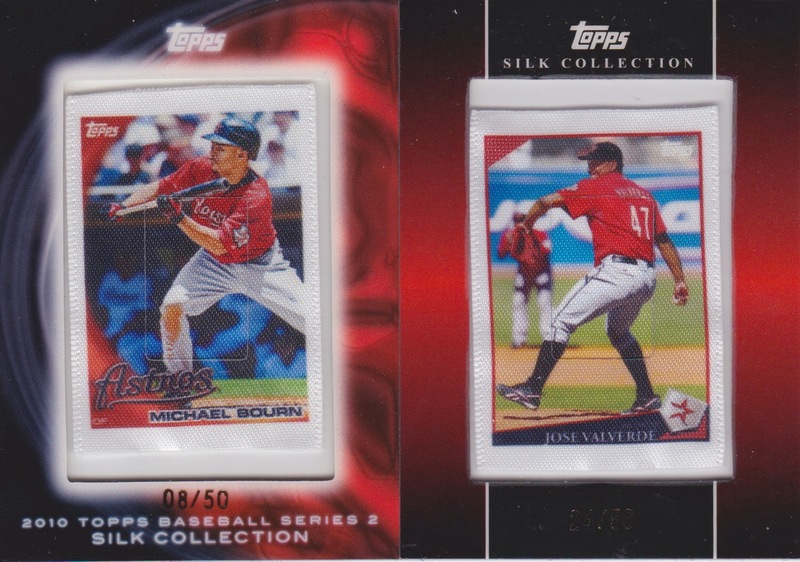 For some reason the foil text on Valverde isn't showing up too well in the scan, but it says 24/50 on the bottom there. Nice additions to the growing collection of silks! Absurd is right. Just delaying the inevitable if you ask me.